The economic shifts in Australia have caused major concerns in the real estate arena as demand for properties accelerate. Investment in property has been a major driver of the economy & an entire industry has been setup to facilitate these transactions. Investors, banks, and potential homeowners participate in this industry and operate based on the market's legal framework. Australia is among the most expensive places to live among other first world nations. Renting is especially difficult seeing as people living across the country have constant residential pressure. Most employees experience rent stress which implies that their housing costs more than 30% of their salaries. 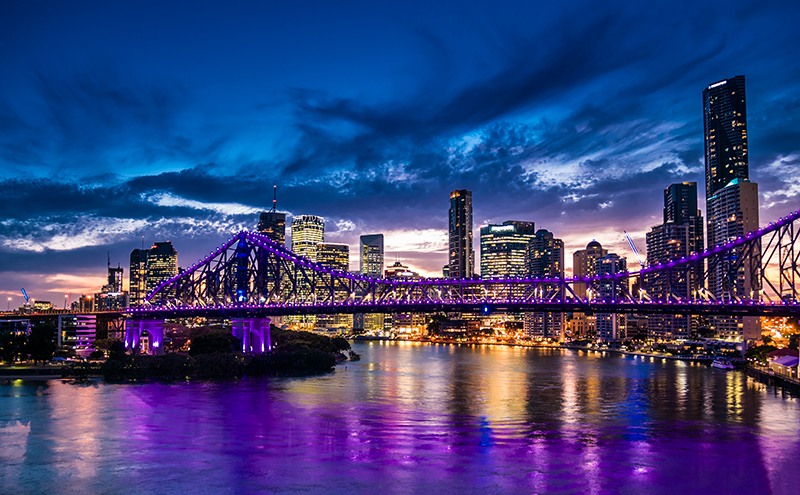 Owning a property in various areas in Australia is daunting, and most prospective buyers are either uninformed or exceedingly skeptical to make appropriate decisions. Navigating the market often requires the potential buyers to seek help from agencies specializing in the industries. Investors commonly opt for this alternative and can afford it. However, buying a home in the Australia is seen as a way of preserving living standards because living on the move tends to be expensive over time & Australia has went over 26 years without a recession. Studies conducted in the main cities show that rent stress is at all-time highs within the period starting 2016 to date. Federal directives like the minimum wage increment by AU$18.29 are predicted to cause little impact in the real estate industry. The younger generation is particularly in constant need for living spaces as they navigate the business world. The older and established generation is unsympathetic to the economic fluctuations and, therefore, makes little effort to evolve as changes occur in the market. With such a rigid supply base, in-depth exploration of the real estate industry is necessary before investing in any property. Therefore, a prospective buyer should consider mortgages rates offered in the industry and their ability to keep up with the payments. The following are simple indicators to consider while seeking a property. Most people do not have the luxury or budget to partake in property investment. However, all their motives lead to a form of investment. Eventually, the property's value escalates, and the owner recognizes their home an asset, though it remains a highly illiquid one so long as they live there. The investor has a similar experience over time but is aware of the stock of value in the property they purchase & can more easily sell the property. Buyers develop the other motives on account of a service that they want to receive from the property or its setting. For instance, a buyer seeking a property on which to retire on should consider the proximity to essential services like medical care. People looking for a home to settle in or a property with easy access to their workplaces should also consider the availability of the essential needs. An example of basic services is security or access to food markets. A prospective buyer must review all aspects of their lives and decide on property packages that fit their lifestyle. They should make minimal compromises since their decisions will shape their future & they will be stuck with any compromises they make for many years to come. Currently, renting Australians are motivated by access to recreational, dining and transportation services. Prospecting to purchase a property should be driven by similar direct and applicable wants. Despite the need to determine a favorable environment, prospective buyers must consider their budgets. Surveys indicate that a high number (65%) of Australians, find the prospect of property investment as uncertain. Circumstances involving work and family restricts people's options when looking for a property. In such a case, the buyer considers their current location which is often too expensive. Most payment options include a deposit amount if the purchase if not made at once. 35% of prospective home owners are intimidated by the deposit amounts for a property. They claim that it is quite difficult to come up with the money. On the other hand, another proportion of these buyers is concerned over the debts incurred during the process. The renting/accommodation costs in Australia are disproportionate to wages and have been inflating discretely over the last decade. Even with the mortgage options, the recent policy changes in the financial industry have made it difficult to secure loans. Increased risks in the industry have led to increased return rates which discourage property investment. These policy initiatives impacts owner-occupiers and investors, albeit in different proportions. Currently, investors receive about 55 basis points higher on their interest rates than the private home occupier. The real estate industry is experiencing a shortage in demand for property with a record 15% difference between the current lending value to investors and the industry's peak. However, experts are optimistic and associate the difference to market uncertainties brought on by ongoing repricing of the mortgage rates. Deposits form the foundation to the entire property sales transactions. Further, if the seller is not convinced of the buyer's commitment in the transaction, prospective buyers should consider offering up other viable collaterals for the transaction. Real estate experts note that it is possible to provide house equity as collateral which is important for buyers who cannot come up with the deposit money up-front. Debt is naturally repulsive to most people since you commit to paying interest on money used to secure a property whose stock value takes long to offset the interest expense. Further, private buyers might never consider liquating the property. Scaling up debt into levels of three item indices can help the customer decide on whether to partake in a real estate with a loan. For instance, the buyer could consider a scale from 1 to 3 where 1 is productive debt, and 3 is an unproductive debt. The middle ground could just represent tolerable debt symbolized by 2. Investors often engage in the type 1 obligations since they are expectant of making profits. The own occupier should consider the multiple advantages associated with owning a home such as security and access to essential services. Buyers must also present an open mind regarding the location of the property since various places have different prices according to flexibility and services within the area. For instance, Sydney or Melbourne suburbs are quite costly. Therefore, looking for property in developed economies inevitably attracts hefty prices. It is important to think about investing elsewhere where the prices are friendlier, rather than limit a property search. Financing a property purchase mostly requires the buyer to have a loan setup. With fluctuating market policies in most sectors of the industry, it is wise to contemplate hiring a mortgage broker. Specialized experts are always studying market trends and are most adept to help new buyers in the loan acquisition processes. Individually, customers are overwhelmed by the fluctuating landscape and often opt out of the tiring process. With the appropriate resources, an Australian home investor should consider the location of the prospective property. Investors typically seek fast developing markets which promise quick returns on the asset investment. Currently, Australia's south eastern market is making strides towards development with rapidly growing property prices. Sydney leads the property boom with highs of 5 % price appreciation within the first months of this year. Within a year, property prices have appreciated by 18.6%. Hobart and Canberra have recorded substantial double-digit gains while Melbourne tops after Sydney with 15.9% annual appreciation. The economic developments in the South-east region are positively promoting the real estate market in the area. If you are looking primarily for a place to live rather than an investment then other factors like proximity to work should be given more prominence than potential returns. 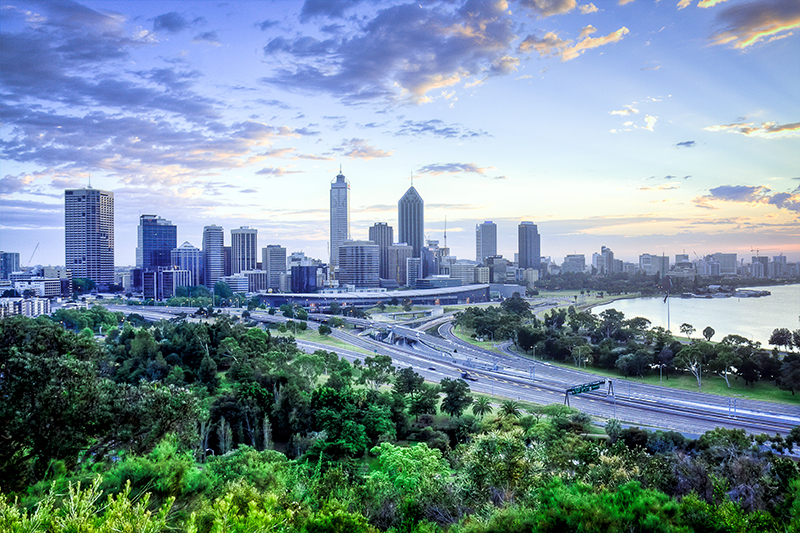 Australia is increasingly attracting real estate developments since the market is developing at a high rate. Unfortunately owning a home for Australians is still difficult and homelessness has become a concerning issue. Therefore, the government has set up initiatives that help incentivize the population into investing in homes and develop the country's economy while reducing homelessness. The first-home grant owner is a famous model for motivating home ownership as where government contributes to a person's savings intended for purchasing a home. The government provides a percentage of yearly savings to lessen the length of the saving period. The strategy is effective in promoting savings among potential home owners seeking homes with values below $400,000. However, the national initiative has been dissolved and now applies according to the state of investment. The house must be occupied immediately after offsetting the fee and remain so for at least half a year. Outer suburb grants apply for the real estate developers who are supported by an award of monetary appreciation. A majority of the incentives focus on renovated properties and newly built homes. However, WA offers a unique package for already established houses, and buyers can get AU$3000 towards their purchase. These incentives mainly focus on offsetting the legal duties for home ownership such as stamp duty exemption. In an almost similar model, the Northern Territory is listed on offer by the government which offsets a significant amount of purchase or development value. 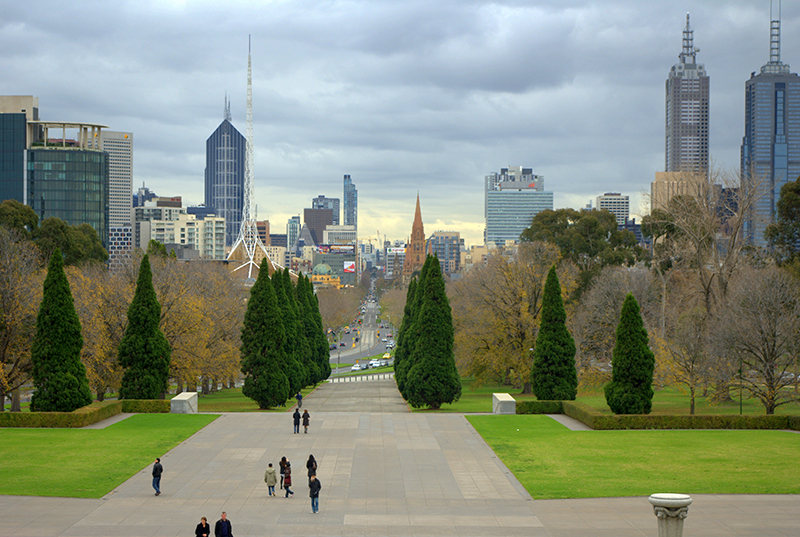 Established home buyers could benefit from the AU $12,000–$25,000 incentives. Relocation to the regional areas away from towns has an advantage as an incentive has been setup where beneficiaries could win AU $17,000 for their purchase. The economic performance of the entire country implicates the trending rates and market preferences in the property market. The guide advances the latest on Australian real estate for prospecting home owners and the mortgage options existing in the country. Taking action with this information is the right option while using the said incentives and so as to keep up with the continually changing landscape. Potential home owners should thoroughly consider their options as they decide on an appropriate mortgage for property purchase. The basics factors to consider when taking a loan include the purpose of the loan and the borrower's financial needs. The latter examines current and future aspects of the borrower's financial climate to determine where the borrower is suited for a loan. Loans in the Australian real estate could be motivated by the need to settle the initial deposit or clear out the entire cost of the prospected property. It is important to determine whether the financial privileges of the buyer can resolve the property's value discretely or in a lump sum. The solution to this query determines the most appropriate home loan solution for a client. The following are some plausible options associated with their positive and negative traits. In Australia, an IO loan adopts a simple principle where the borrower is offered an amount for which they pay the interest only. Rather than paying the principal along the loan period, options are presented where the borrower pays commences regular payments after a period. The loan interest is tax deductible, with investors taking advantage and claiming it. A duration is usually set after which standard principle plus interests is required. This type of loan is also called honeymoon loan in Australia because the borrower is given a leniency period when they only repay loans at a discounted rate. The model is related to the interest-only loan due to the initial tolerance which lenders have for borrowers. However, this loan does adjust the initial interest rate while the interest-only loans utilize a fixed rate. Loans could take up two available models which rely on adjustment on the initial interest rate. A fixed discount rate is one that is flexible and fluctuates with the market but not over a predetermined margin. On the other hand, a discounted fixed rate is insensitive to the market changes and remains the same over the grace period. Financial Strain on the borrower grows over time. In Australia, a contemporary requirement in most scenarios is some collateral or proof of income. Such demands act as hindrances to potential home owners who are self-employed or investors whose assets cannot be accurately evaluated spontaneously. Los-doc loans rely on self-certification which is the personal approval that a borrower can offset the loan amount. The asset (home) is evaluated to affirm that it is credible before lender accepts a transaction. The loan package was initially designed for heavy with typical amounts ranging beyond AU$250,000. However, the package is now available to everyone with a minimum requirement of credit value AU$100,000. Aspects of the loan include multiple discounts, savings accounts, up to four cards without annual fees, waivers and valuation-dependent adjustments on the loan arrangement. Catalyst Money – travel, life, and car insurance; personal and home loans. Defaulting on a mortgage is a serious concern which could lead home owners to lose their homes. When a borrower defaults, they are given an initial communication by the lender telling them to catch up and a second notice follows if they are unable to. These notices are separated by a month. After 90 days, the lender takes legal action to possess the property for resell.